Link to Miley Hall Salve Regina University Project PDF. 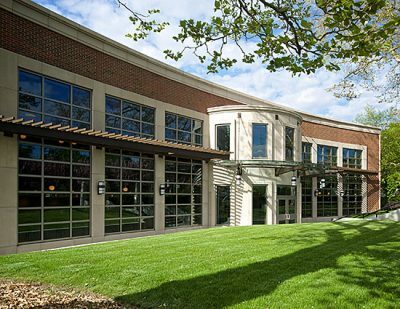 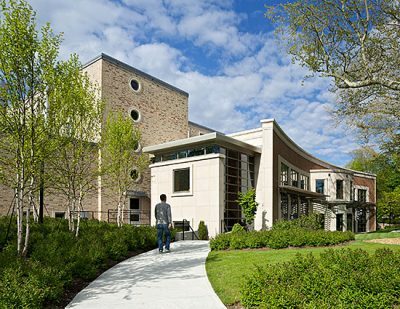 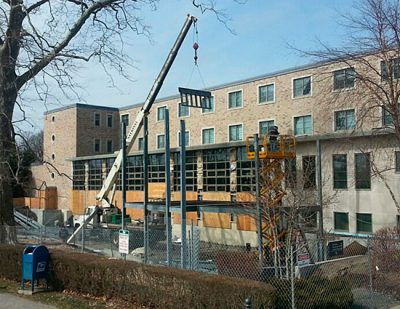 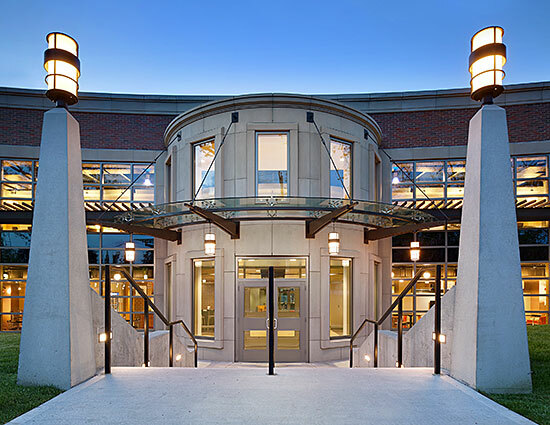 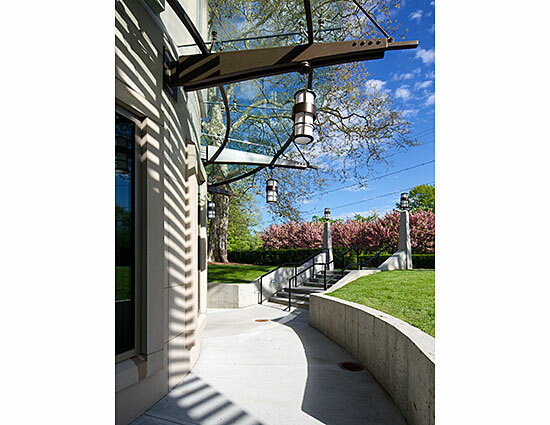 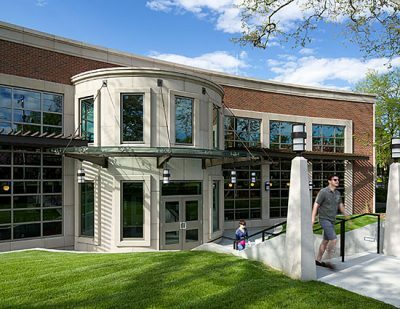 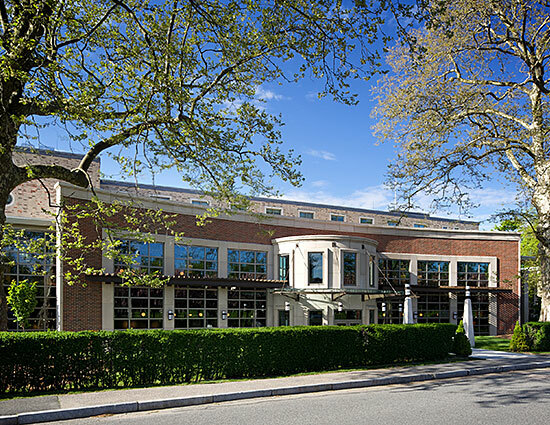 The 2013 expansion of Miley Hall not only transformed the buildings ageing exterior but also included a comprehensive renovation of the existing two building floors, housing the school’s cafeteria, bookstore, café and student services. A new two story building addition connecting to the existing building expanded the school’s main cafeteria as well as creating complementary ancillary space. 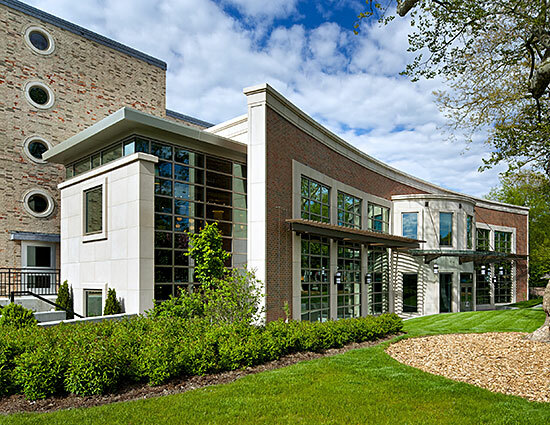 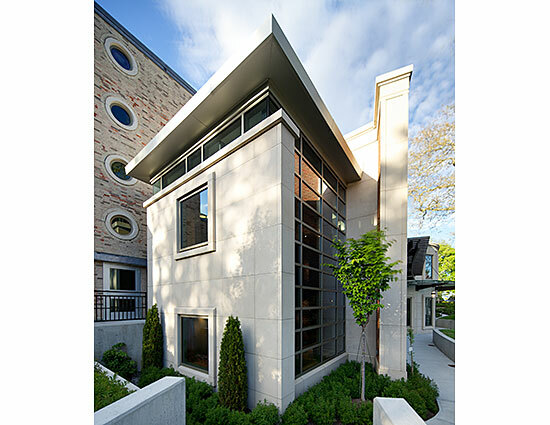 The exterior building components included radiuses steel, brick and precast stone design. Added to this is a curtain wall glazing system, which allows the transfer of natural light deep into the building’s interior. 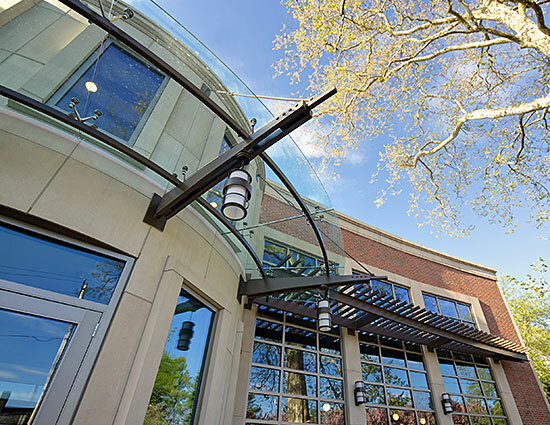 There is also a large glass canopy that provides protection from the weather at the building’s new main entrance. 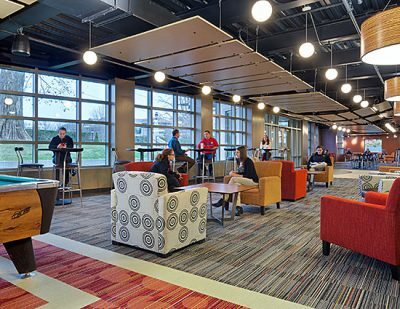 The building’s interior is best described as a complete transformation! Its design is elegant, warm, inviting, very vibrant matching the schools youthful population. 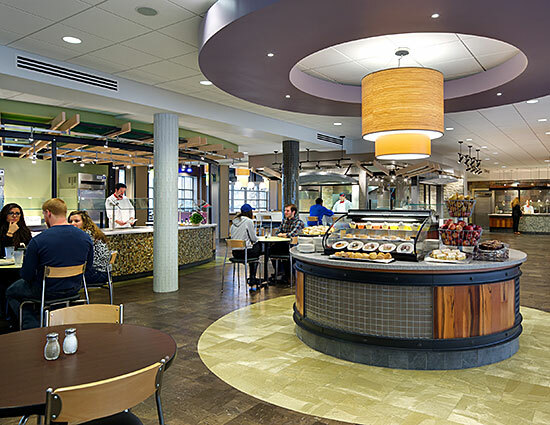 The interior is made up of several food stations constructed of substantial mill work, appointed with glass tile and solid surface counter tops. 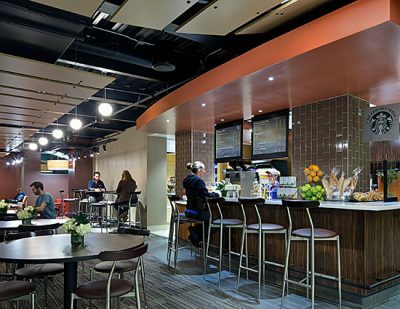 The mix of colorful flooring, glass tiles, millwork, food stations, decorative lighting and tasteful functional furnishings makes this project a student favorite. 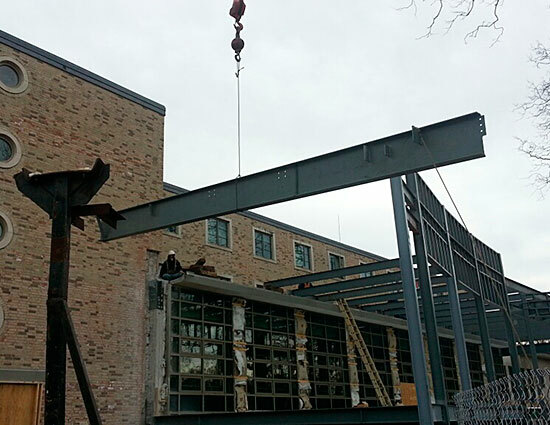 The project’s construction schedule was extremely aggressive, interior work started at the end of the school year mid-May 2013 and was completed prior to the Sept. 2013 School opening. 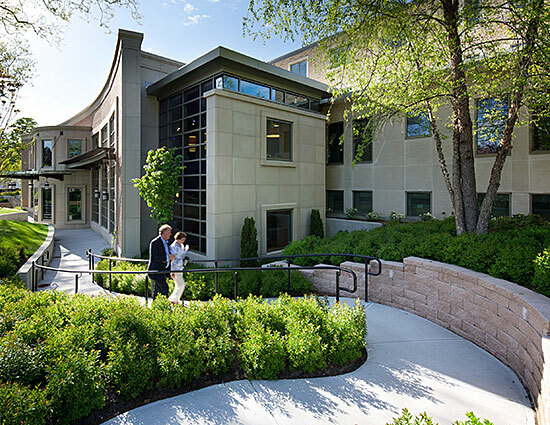 We are proud of our accomplishments on this challenging project delivering on Time/on Budget. 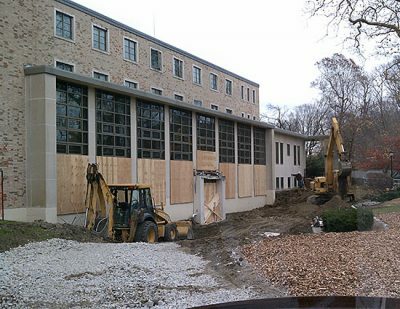 This was a 4.8 million dollar project.